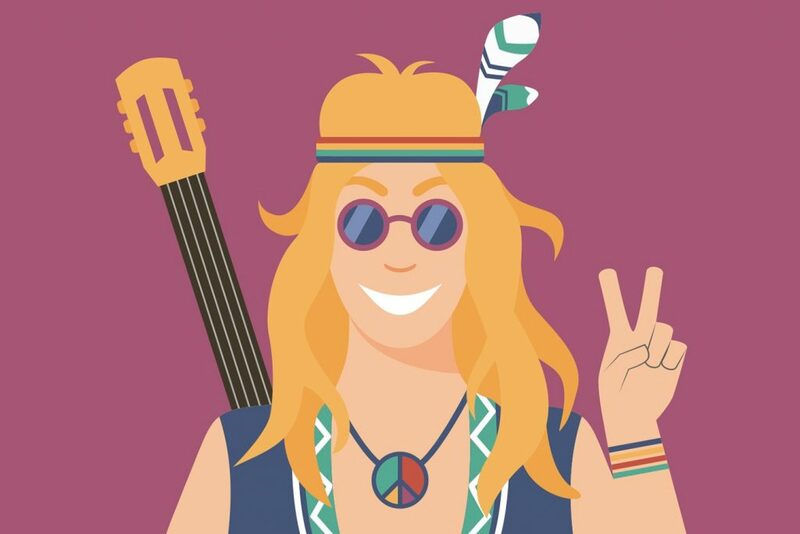 Looking for flat character design inspiration? Good news! 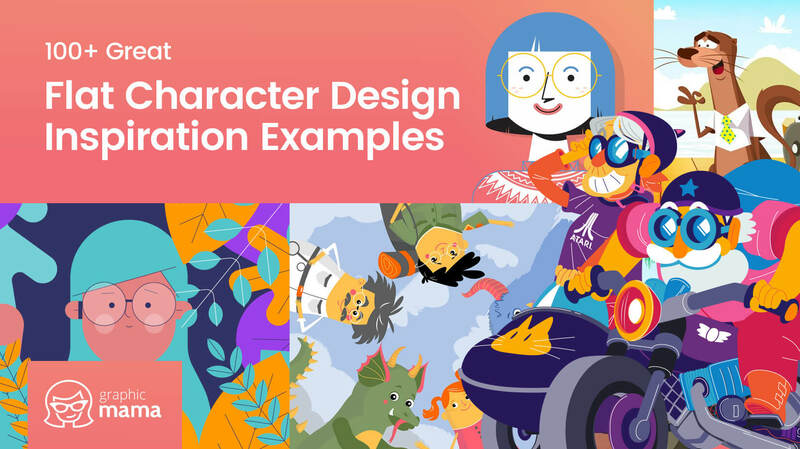 We’ve gathered over a hundred of flat character design inspirational examples to boost your creativity and vivify your vision. 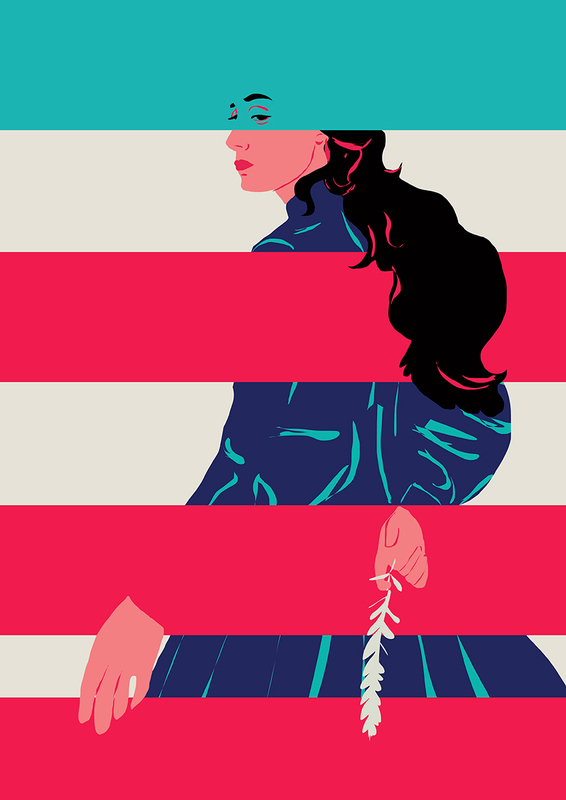 Flat illustrational style is undoubtedly one of the most versatile styles in art. 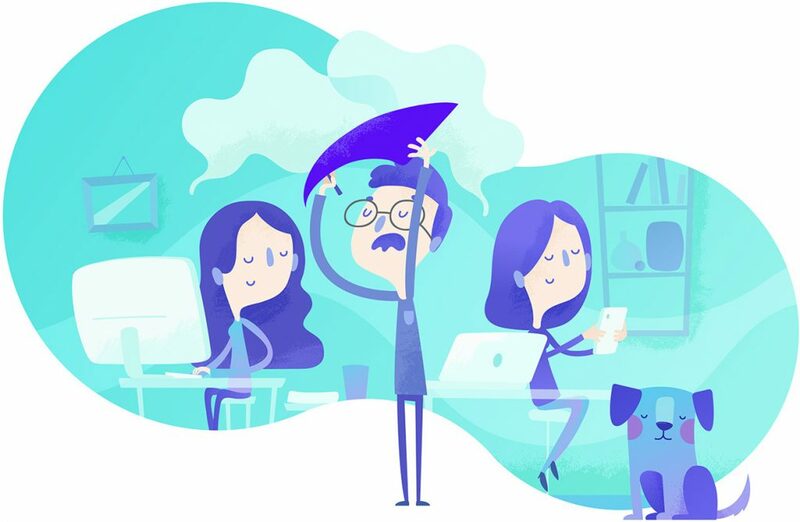 These days, many illustrators and designers prefer creating their work in flat because this style is eye-pleasing for both digital and print campaigns. Character design, on the other hand, is an artistic field that can be found in all directions of graphic design and illustration. You can see it in advertisements, in children’s book illustrations, in posters, in website designs, in app designs, in banners, etc. When combined, flat character design becomes a powerful symbiosis that influences the audience. 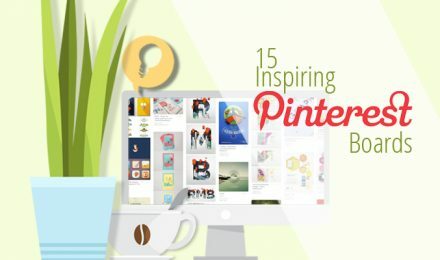 We’ve carefully picked the following 100+ flat character design inspirational illustrations to embrace the versatility of this art direction. Prepare to see a feast of color, enchanting motion (yes, there are moving designs), character design ingenuity, and high-class realization. We’ve featured the work of super talented illustrators and animators, so let’s not waste any more time. 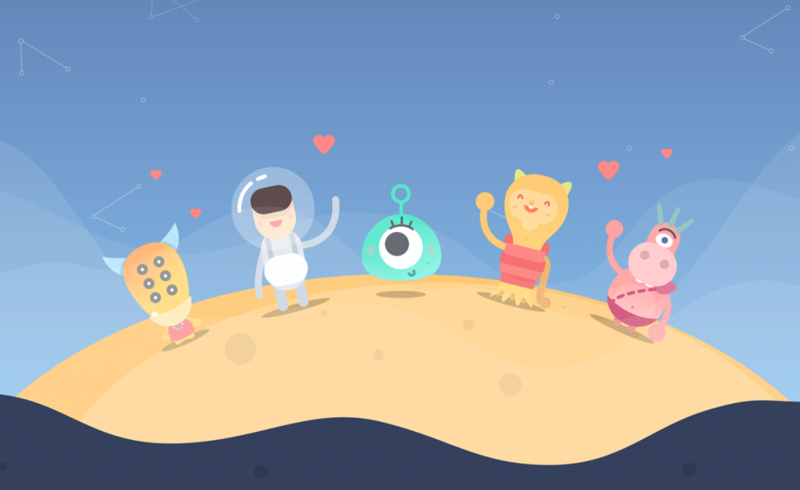 Enjoy a portion of amazing flat character design inspiration! A cheerful illustration presented in bright, vivid colors. 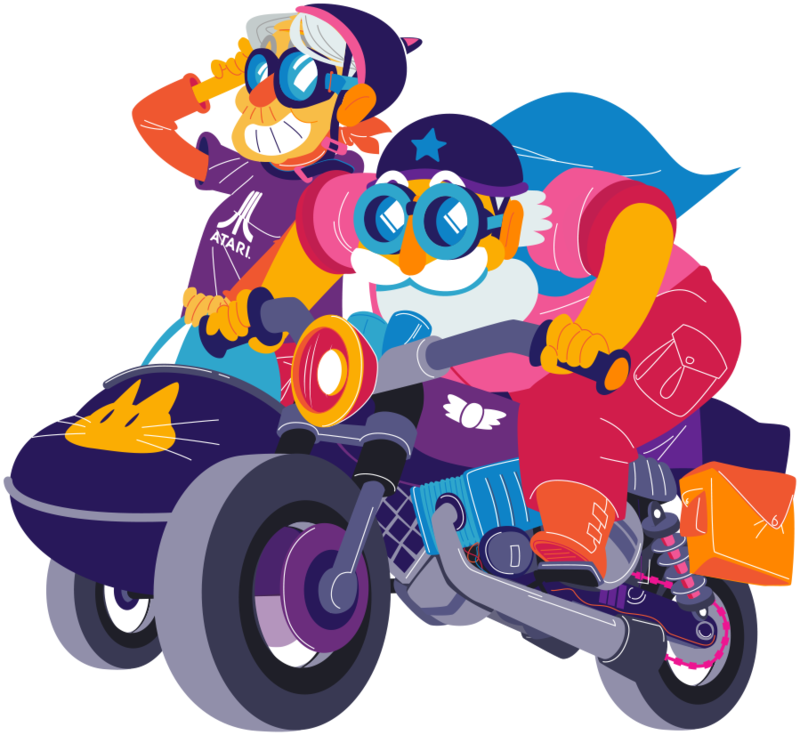 Vintage Adventures introduces two happy elderly characters on a motorbike, designed in a flat style. The following project is called Contact tracing for the Department of Health. 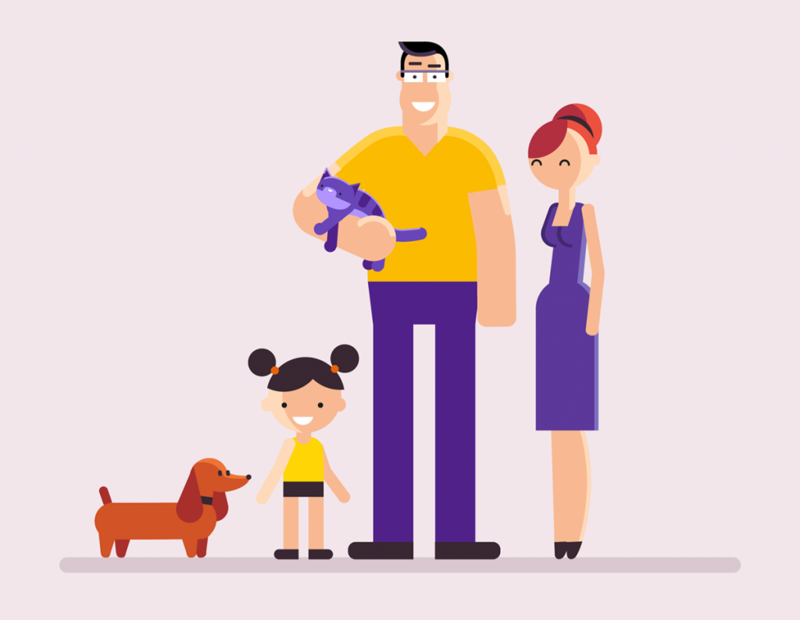 In the series of animated illustrations we see flat simplistic character design with rounded, soft shapes. The following illustration is an excerpt from a video animation project. 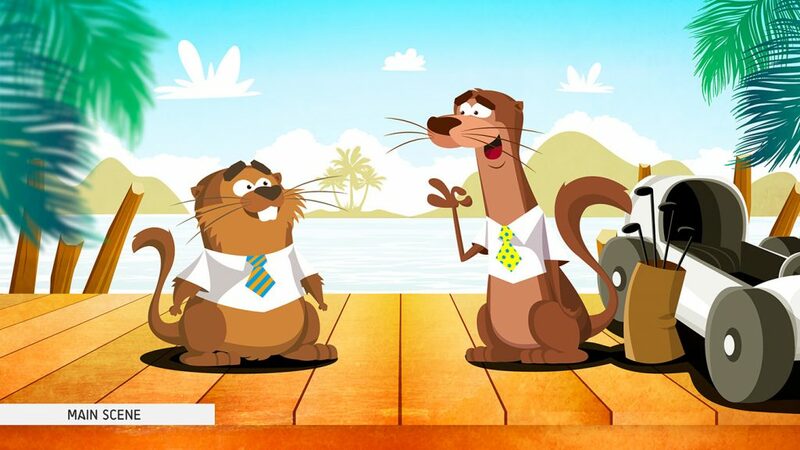 The creator of the character design, Mahmoud Osama, has designed the otter characters in a flat cartoony style. 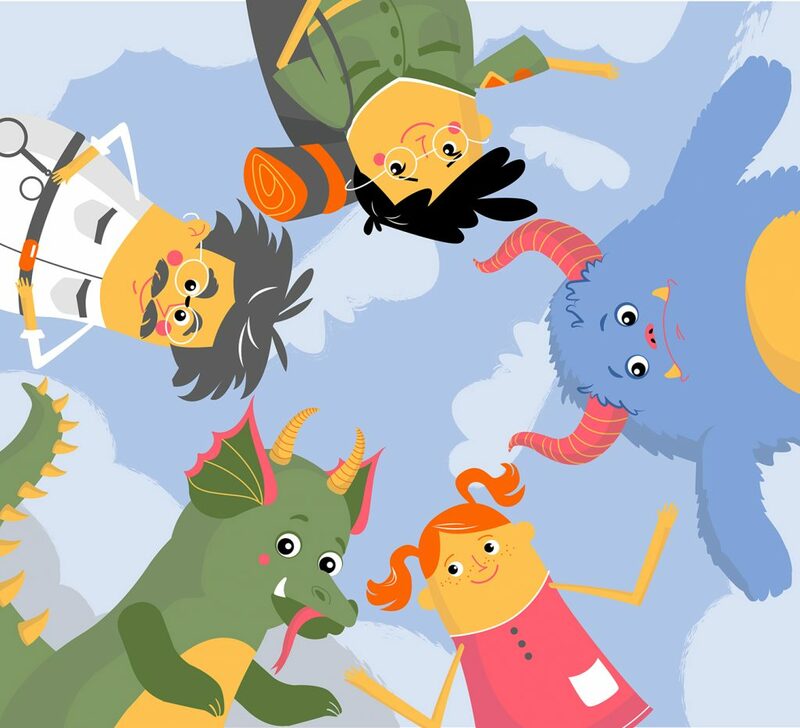 The illustrations and character designs are a part of a video project called “How do we make great explainer videos”. We see a great flat style combined with pastel colors. 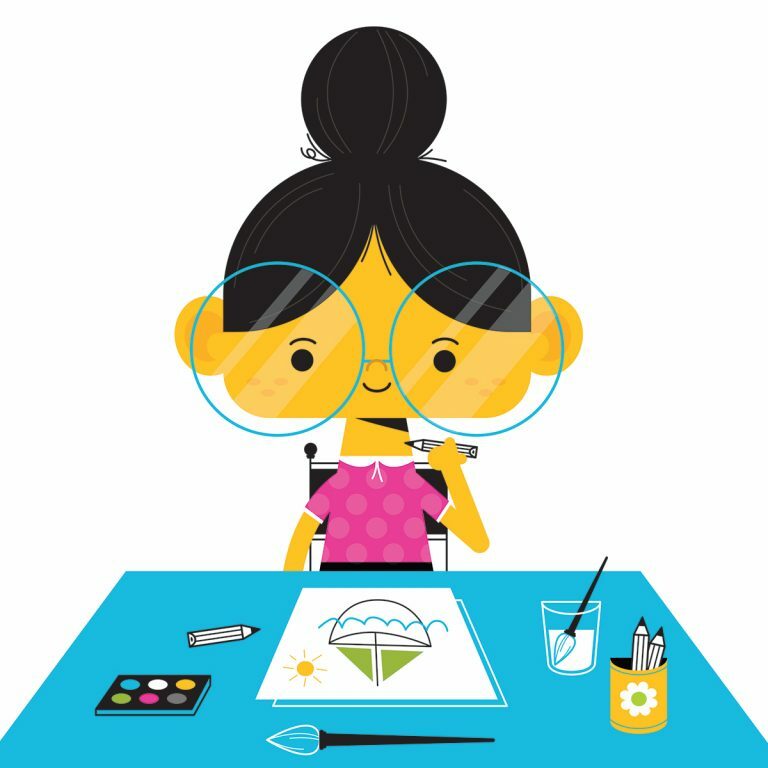 The following character design examples are a part of GraphicMama’s search for new character styles. Both styles are flat. However, the style on the left is based on geometric shapes while the style on the right has softer shapes and subtle gradients. The next two character designs are a part of a compilation called Funny Characters and Mascots Vol.1. 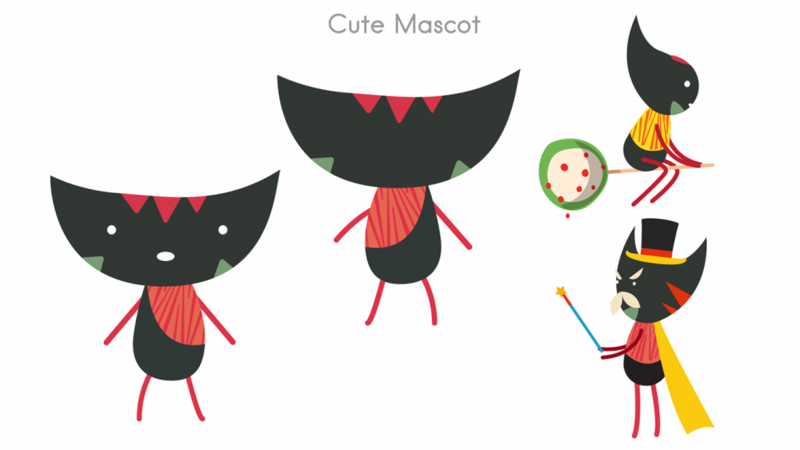 We see charming and fun designs of a robot and an owl character. A project called Shooca. 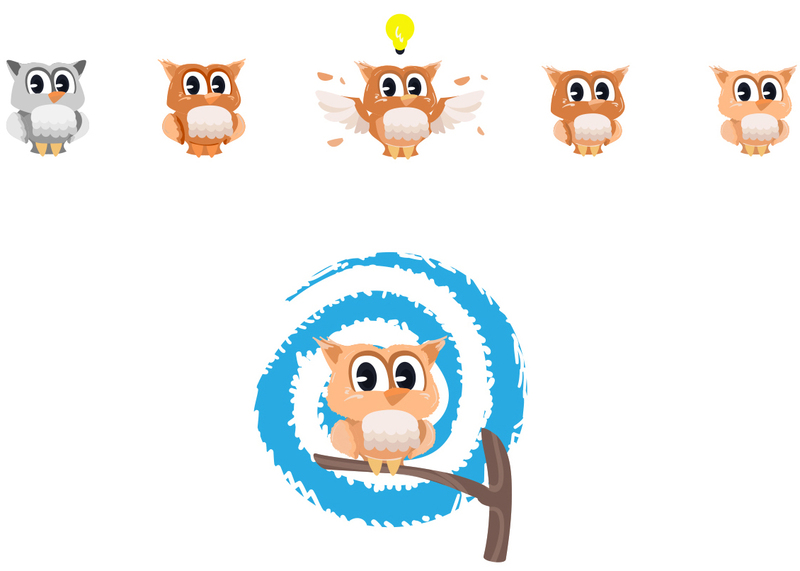 The cool bird character designs are purposed for a new mobile application. The flat style is clean and simple, the colors are pastels. 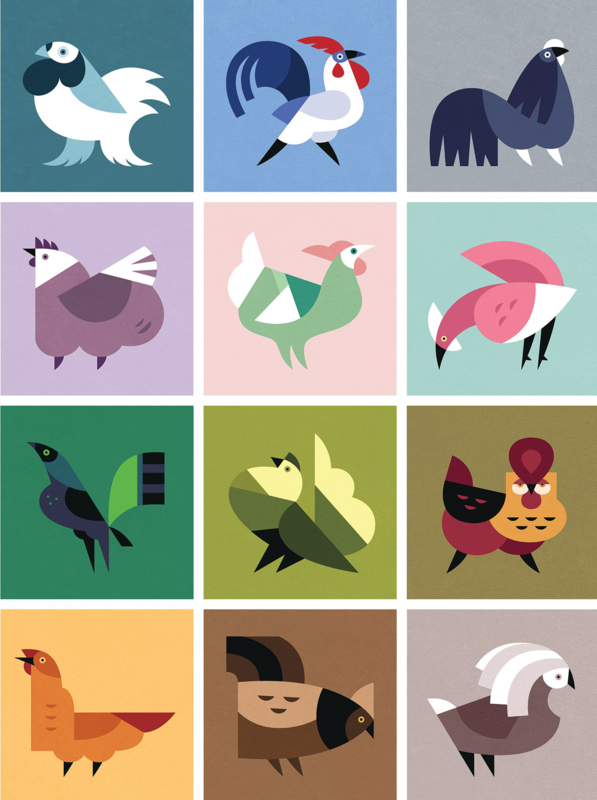 Rooster character designs created for a calendar. In this print design art, we see conceptual character design in flat geometrical shapes. 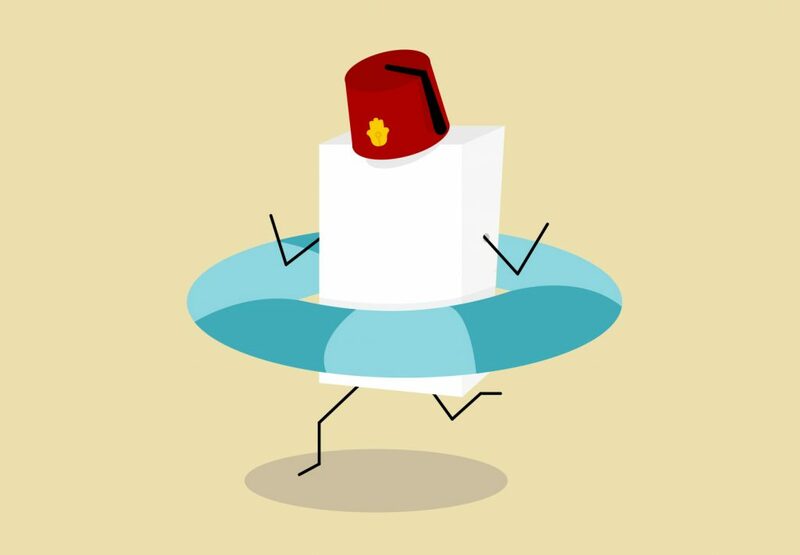 A cute project called “Sugar wants to swim !” showing a fun concept of a running sugar cube. 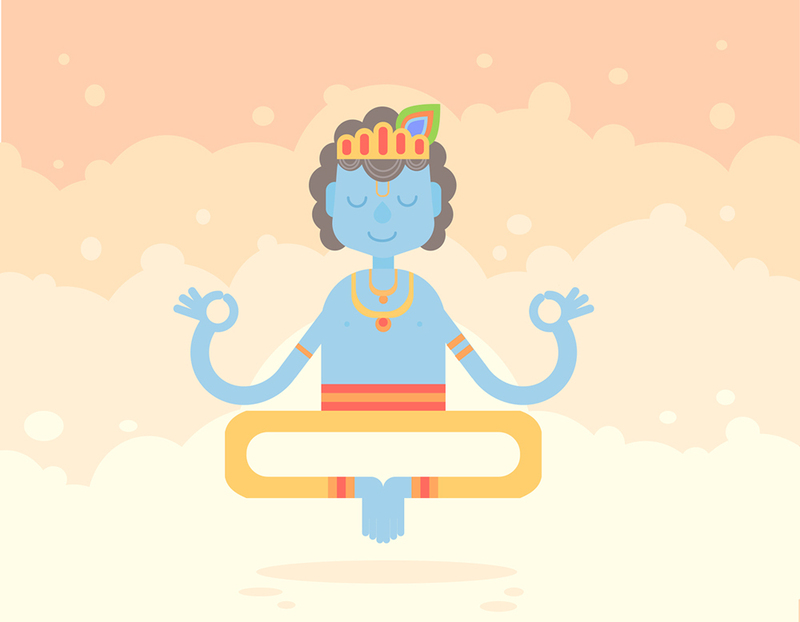 An illustration called “Keep calm and Imagine” tha presents a blue guru character design illustrated in a flat, simple style. 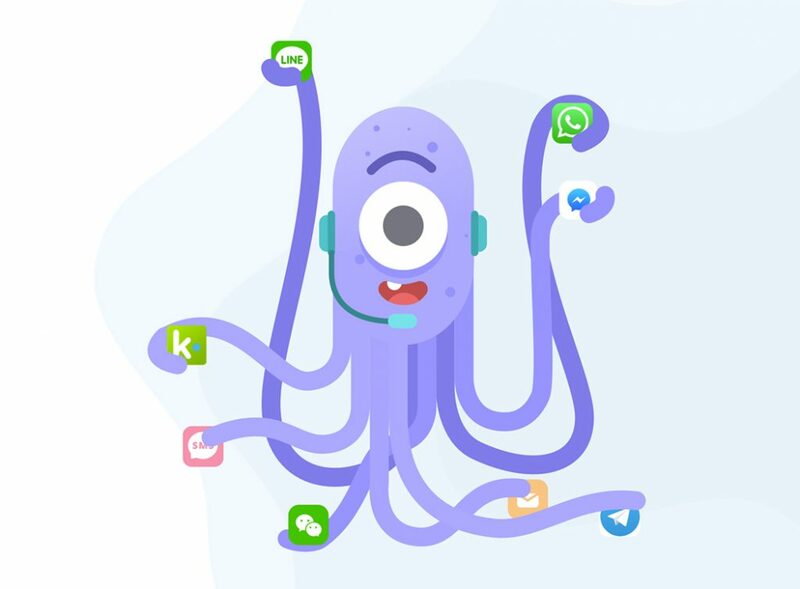 A charming purple octopus character playing the role of a customer support. 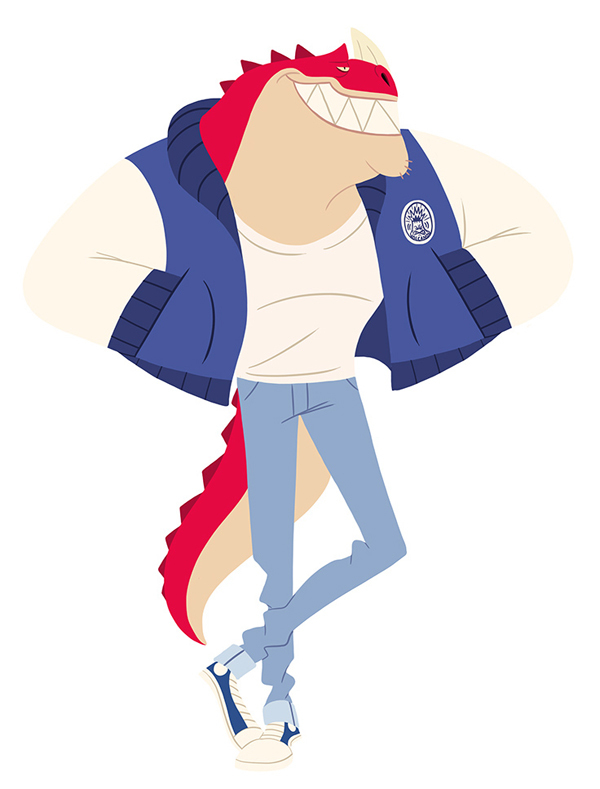 This character design is a part of a bigger project called Lifecycle. In the illustration below, you can see even more characters in the same style belonging to the same project. 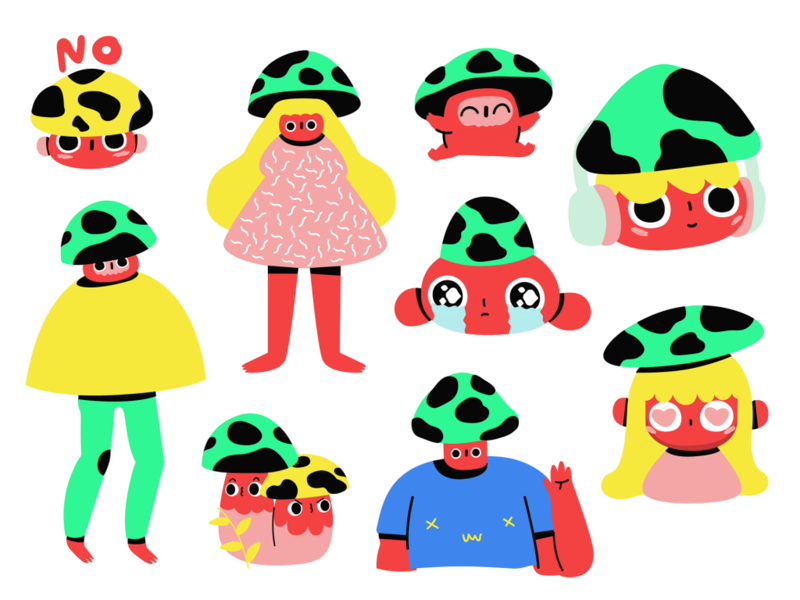 A collection of cute mushroom character designs gathered into a project named “Mushroomz”. The choice of neon colors brings a futuristic feeling to the whole project. The following illustrations are a part of the project Unit Career illustrated by Manuel Neto. 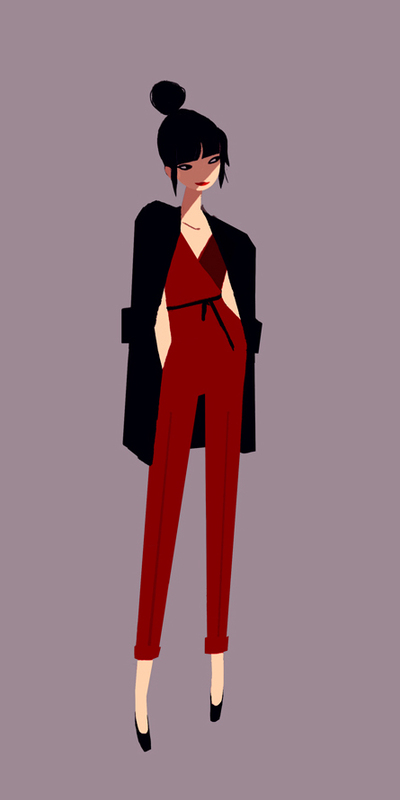 The character design presented in the project is flat with futuristic colors and outline elements. A project for Brighthouse Financial whose idea was to provide the audience with tips on how to go from retirement saving to spending. 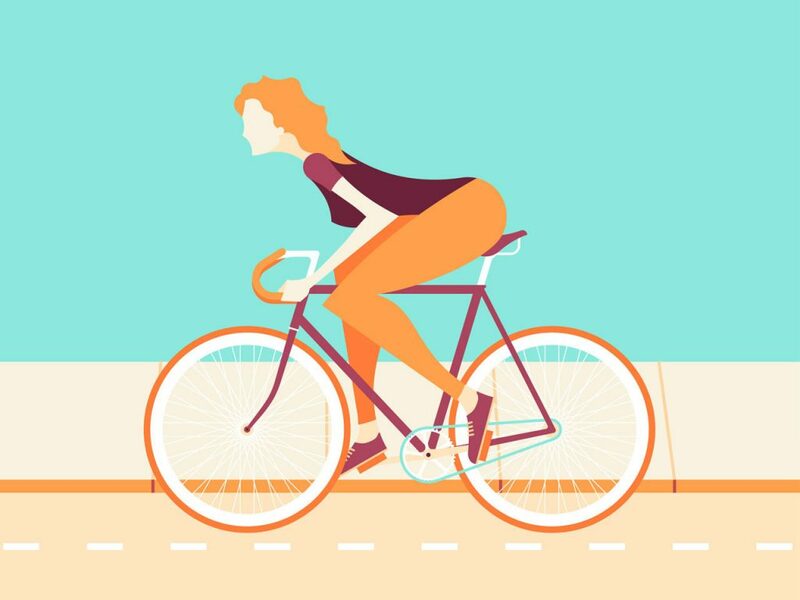 The animated illustrations present colorful flat style, easy to convey a concept. 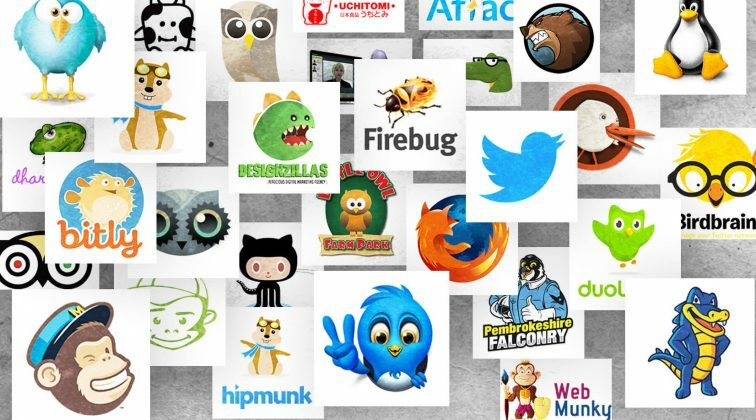 A project called “Tidl – Illustrations & Icons”. 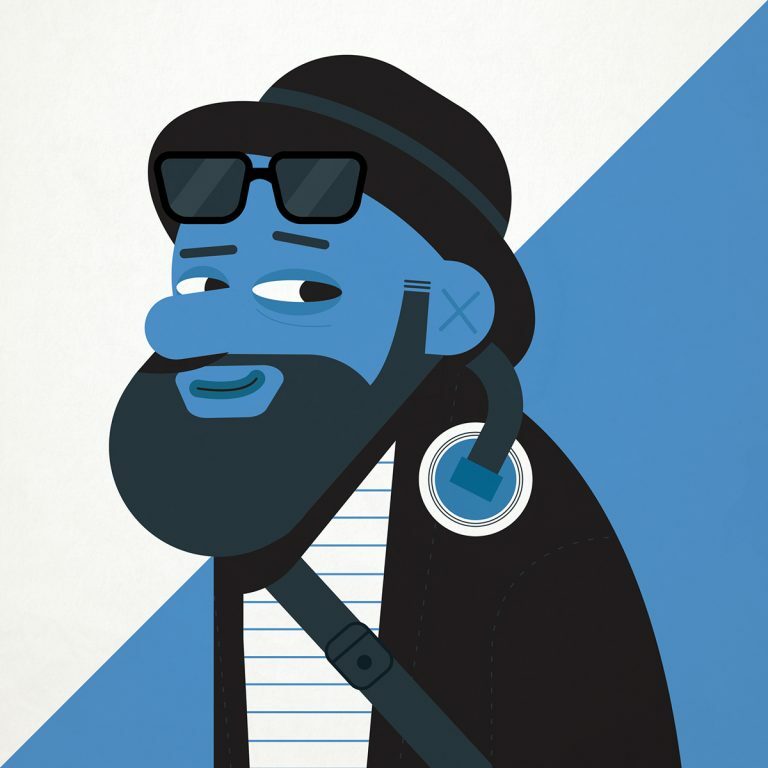 In this project, we can see flat character design combined with gradients in a blue color scheme. 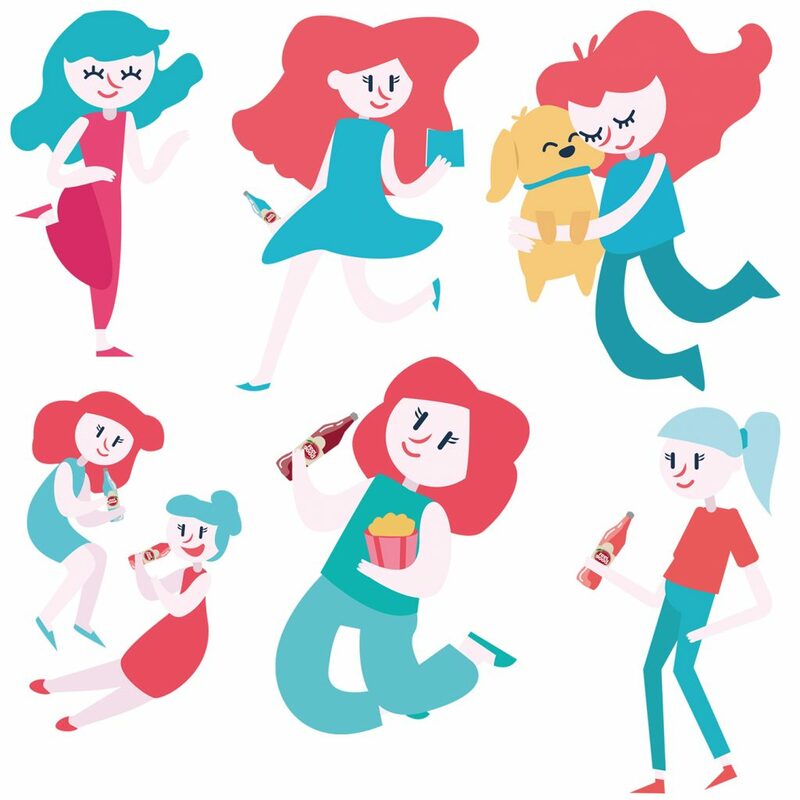 The first project is called Feel good drinks whose purpose was to spread positivity via cartoony happy girl characters drawn in a flat style. The second project is called Silence is Broken. It presents a portrait of a girl in a colorful flat style. 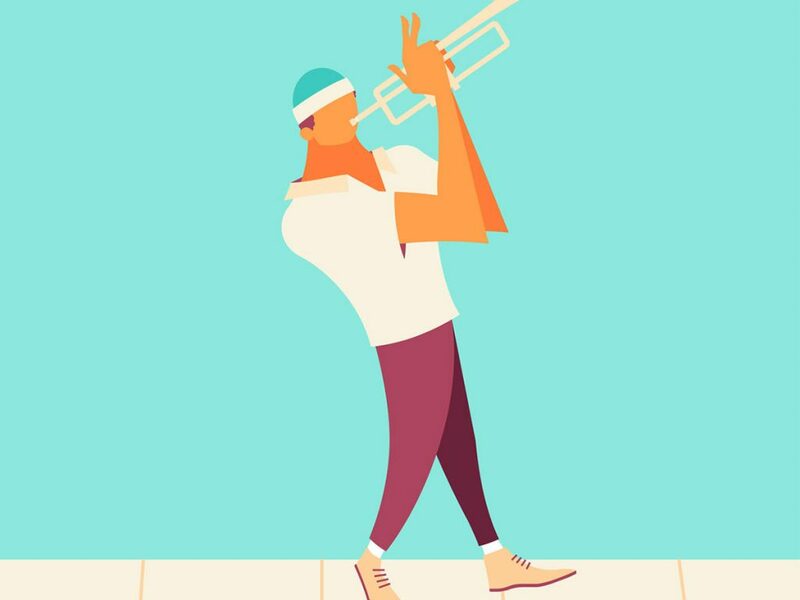 The flat character designs below of a man playing the trumpet and a woman riding a bike are parts of a project for ISIC card. The illustrations are drawn in a limited color scheme. 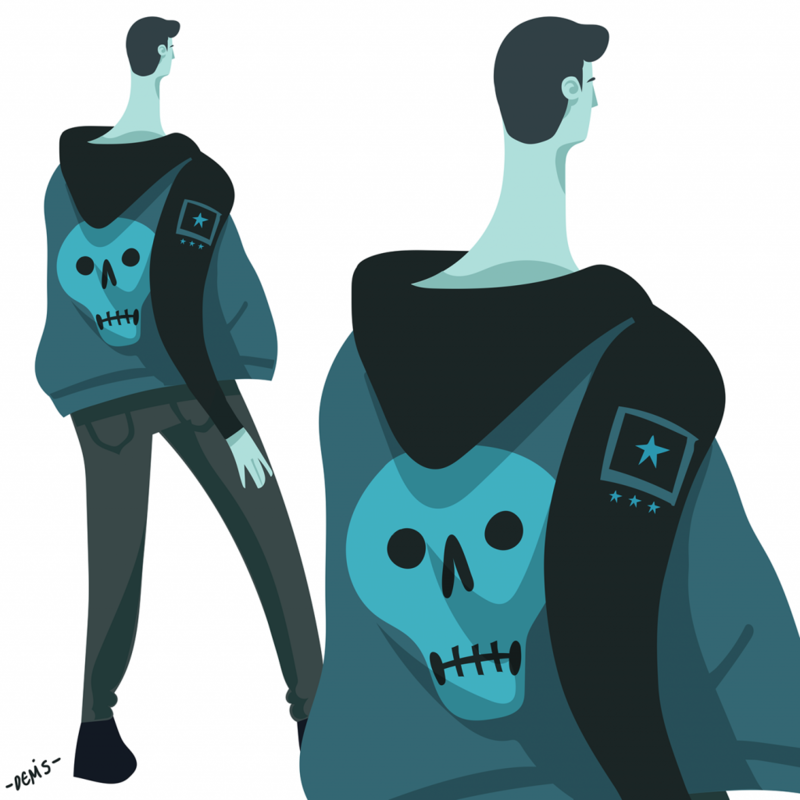 A flat character design of a young punk guy illustrated in a monochrome color scheme. 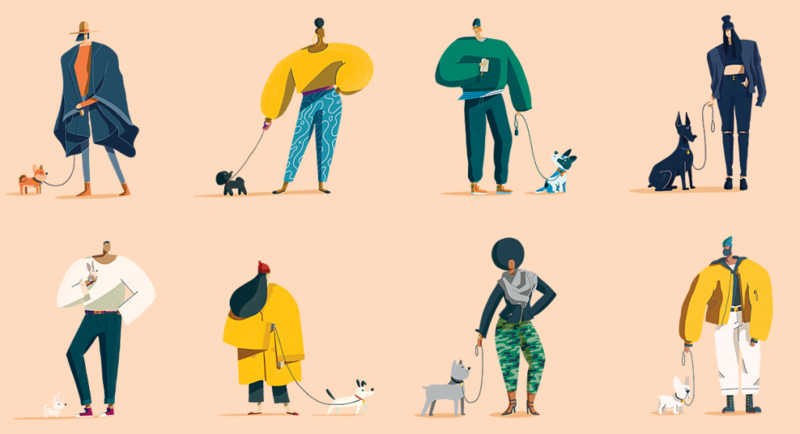 Inspired by fashion photography and real-life observation, as the creator says, these character designs of people and dogs are illustrated in a flat style with light textures. A project for gyPost webmail presenting series of attractive flat character designs avatars. 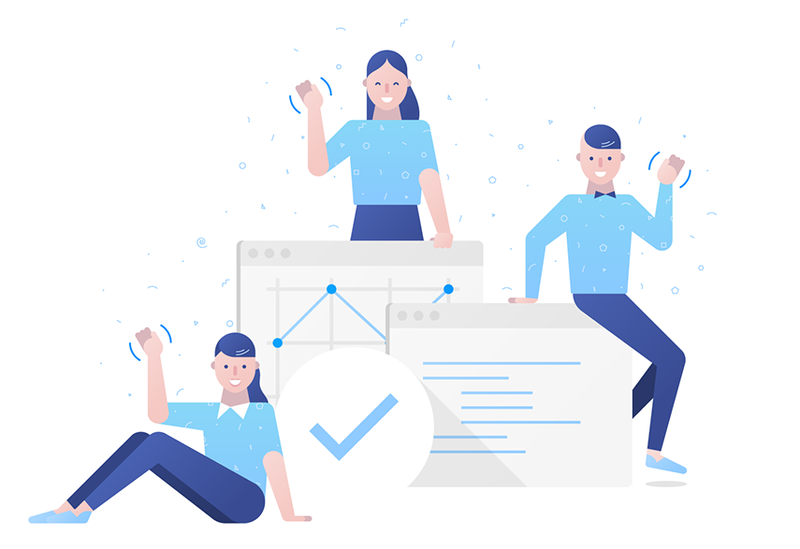 As the team shares, the avatars were illustrated in “a very simple and laconic style with bright backgrounds”. The results are astonishing! 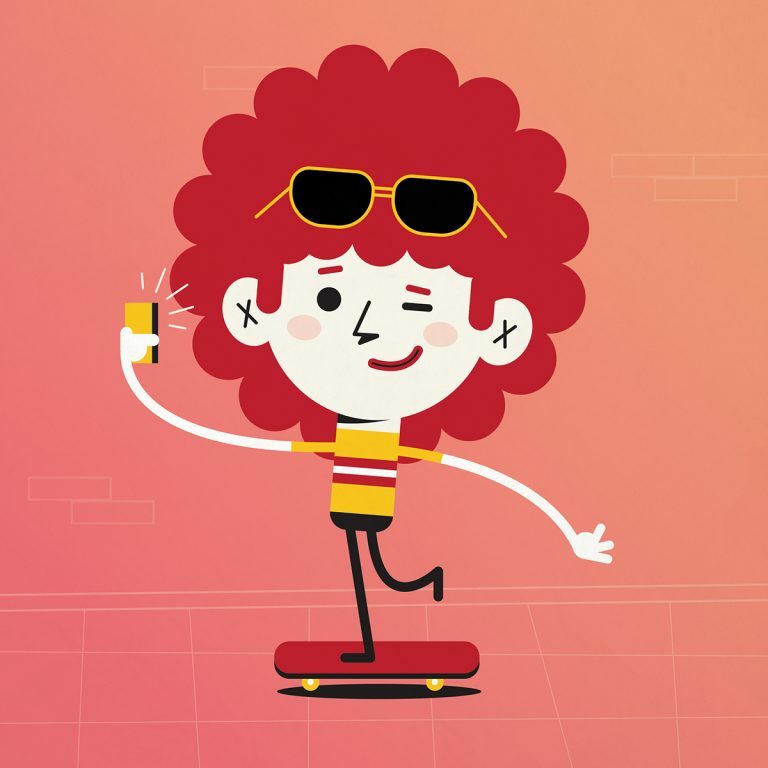 The animated illustrations you see below are a part of a project for the world-known giant Coca-Cola. Behind the project stands a big team of creative. 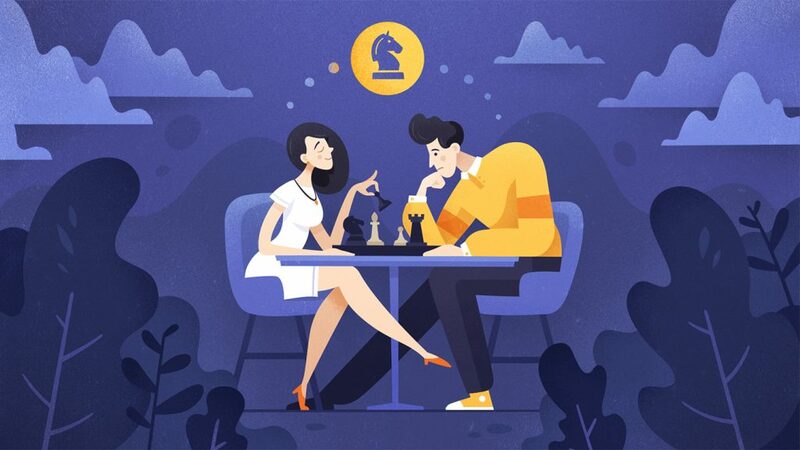 The illustrator is Artur Stotch and the result is great character designs in a flat style. A very talented artist whose work is really amazing. 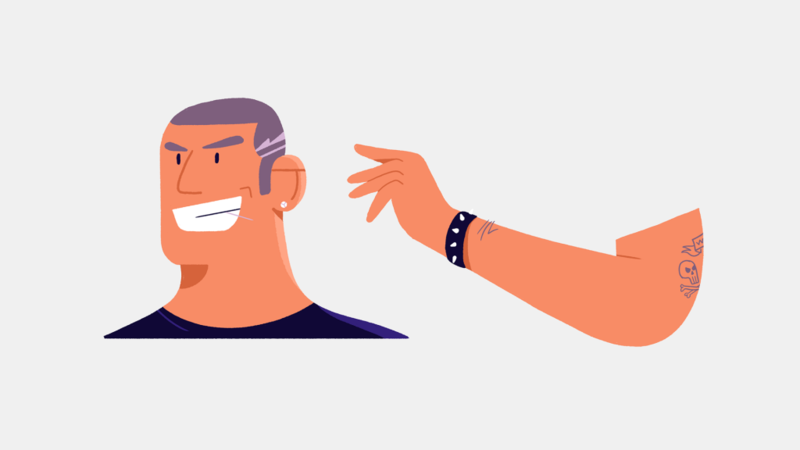 In the following examples, we see great flat character designs and a part of the working process. 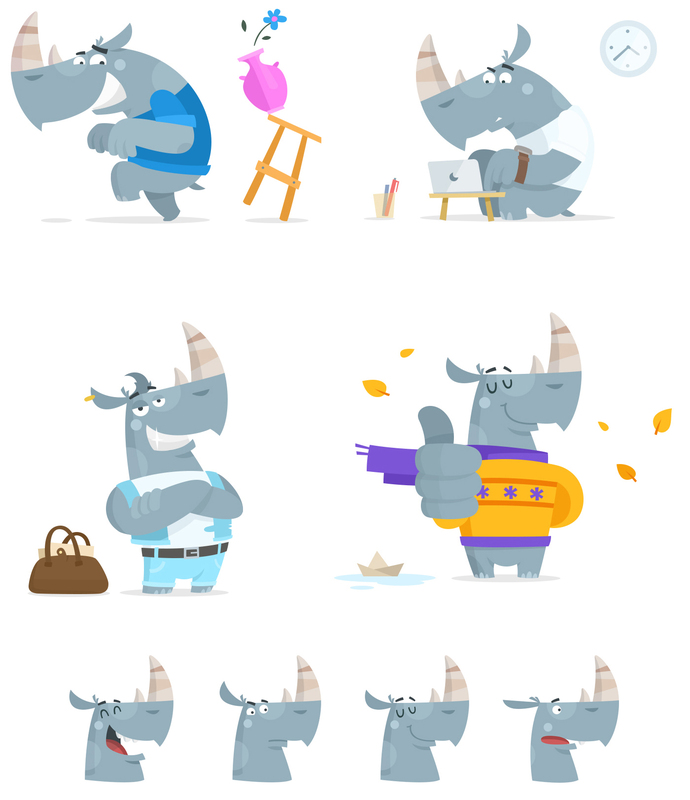 The illustrations can be seen in collections, as follows: Plato – Explanation video, Illustration 2017 (Flat & Outline) Part 1, and Rocco the Rhino (character). 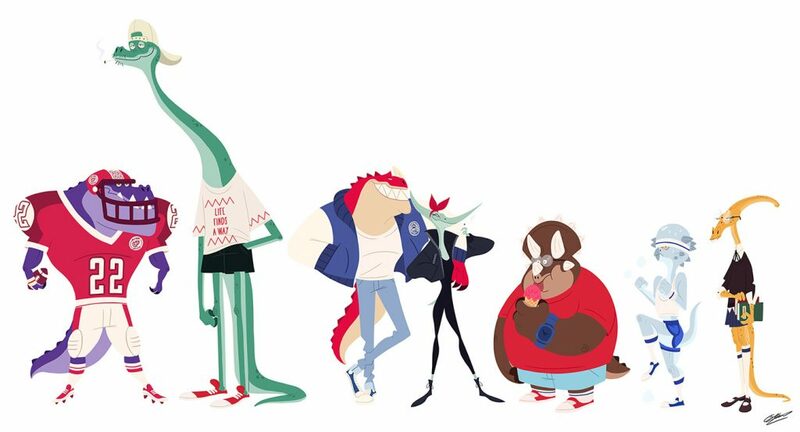 A project called DINO UNIVERSITY SKETCHES in which we can see cool flat character designs of dinosaurs in the university presented with different personalities and appearances. An animation project presenting a whole family. 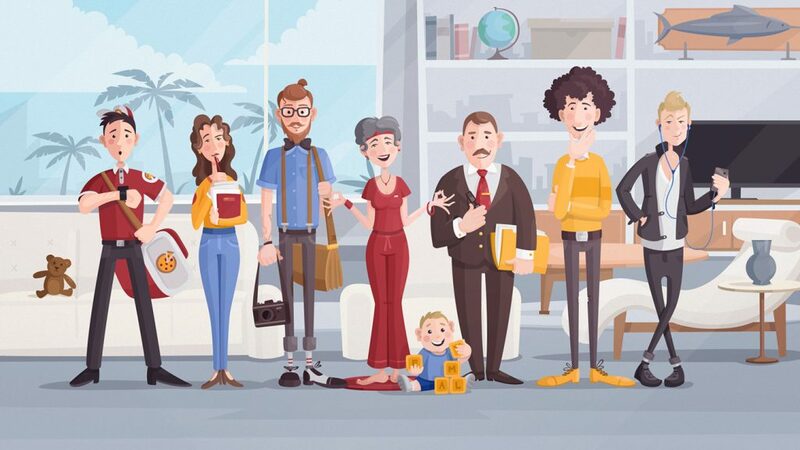 The creator introduces an awesome flat character design of each family member. A project combining flat design with an outline style and bright contrasting colors. The character design is simplistic, yet attractive. 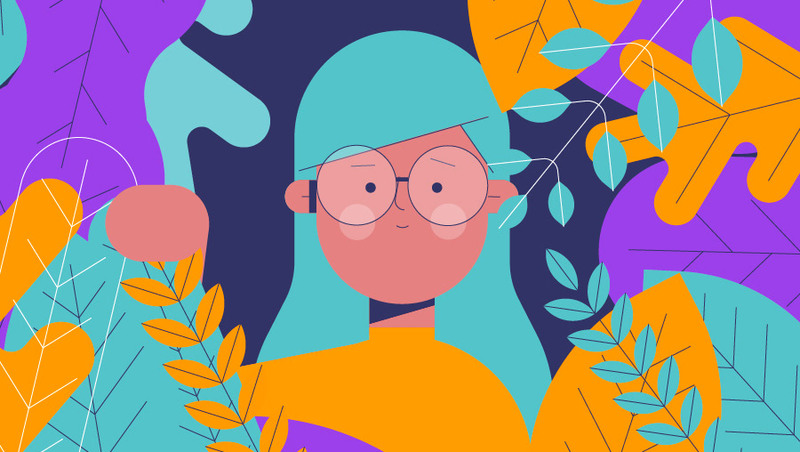 Illustrations for a project called Wonderlust Ident / Racing – series of personal idents which show colorful flat illustrations with great character designs. 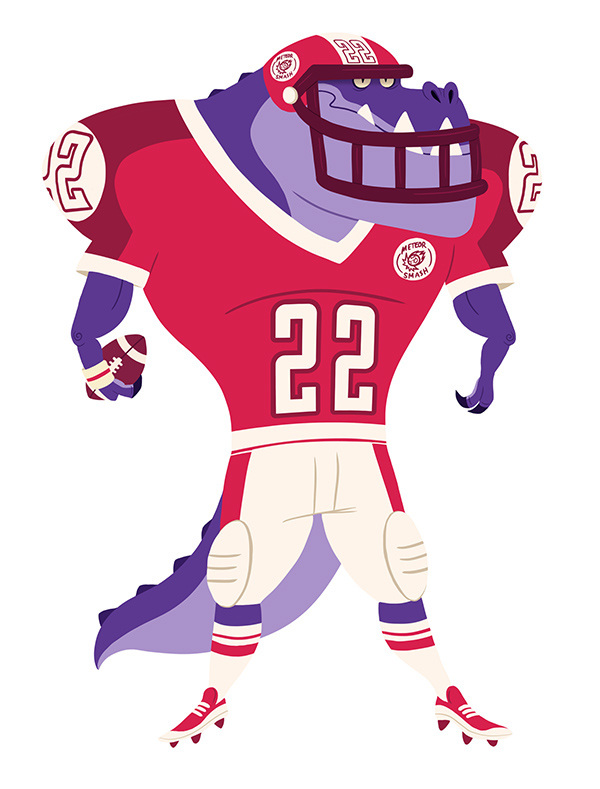 Animated character designs in simplistic flat shapes and bright colors. 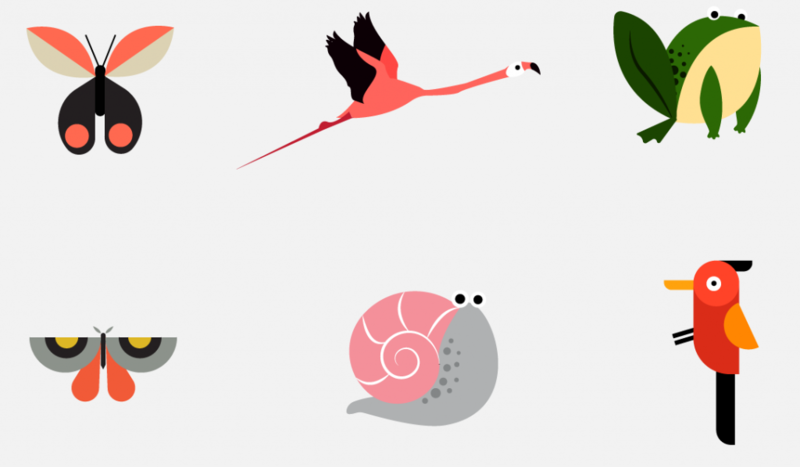 These animals were designed for a project called Magical Forest. We see great colors and geometric shapes combined in a flat design. 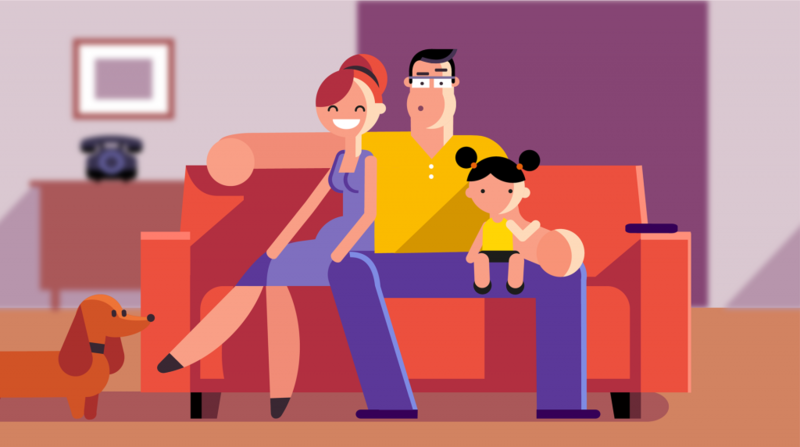 The following illustrations are excerpts from an animated explainer video telling about the benefits of interactive television. 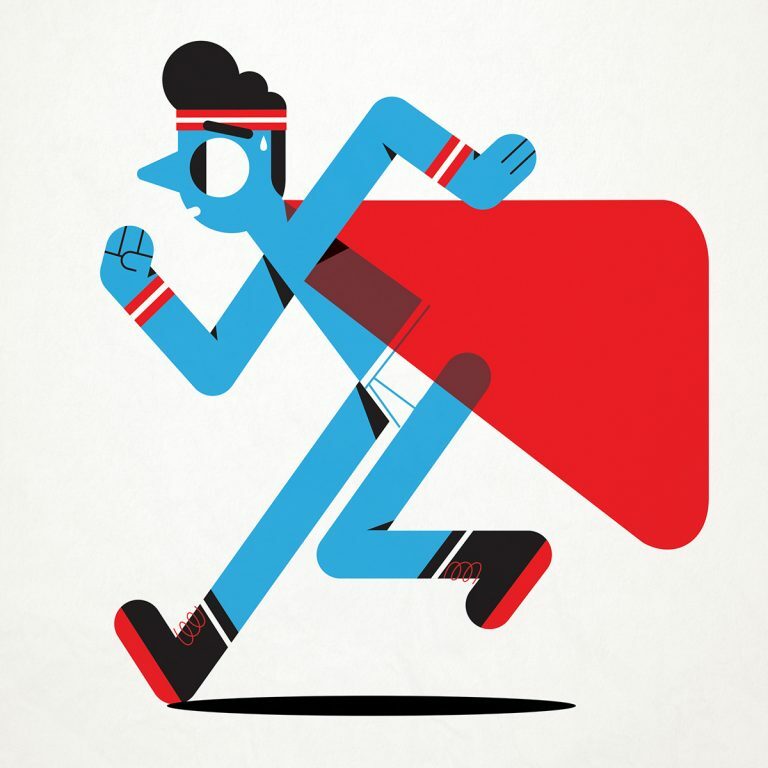 Simple flat character designs plus vivid colors catch the viewers’ attention. Futuristic colors (defined by the client), soft shapes, some gradients, and textures – all of these forming the modern flat style we see in the example below. A unique character design of cats illustrated specifically for a promotional animated video for HyperXchange. 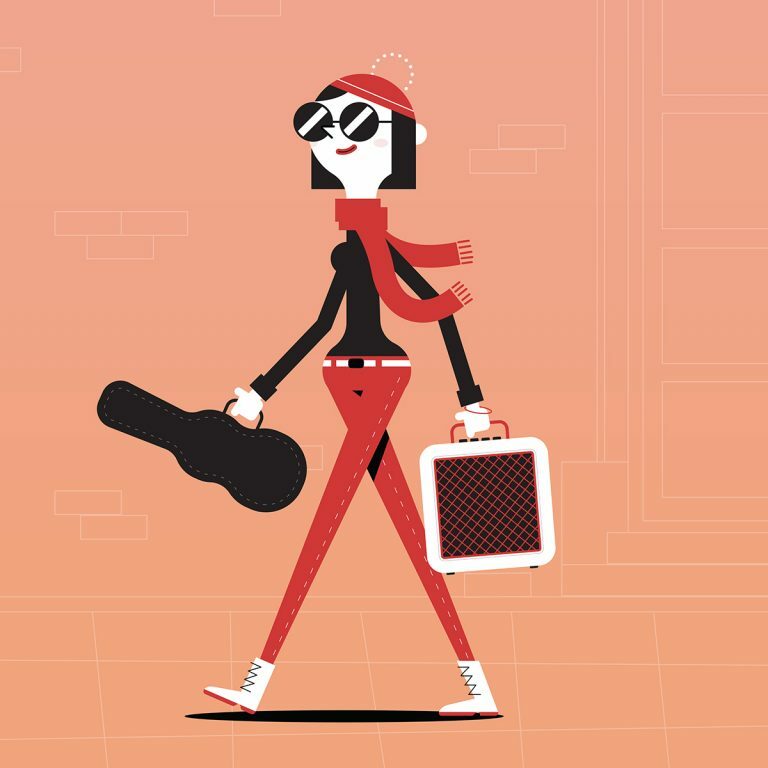 A project named San Pellegrino “Taste” presenting attractive flat character designs of stylish women and men. 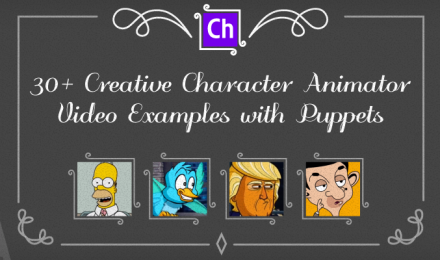 The whole animation along with the character designs is created in a flat style with bright colors. The project is called A True Story. A project called Virtual Reality featuring a character in a flat style and monochrome color scheme. Character designs prepared for an exhibition. A unique approach, bright colors and a feeling of a flat style is what we get from seeing this collection. 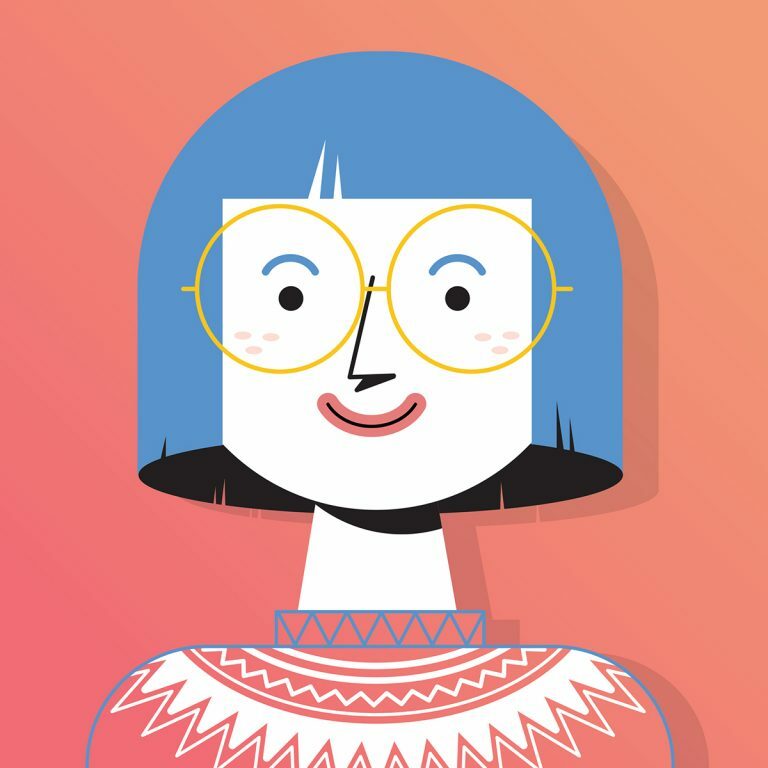 Interesting flat character designs included in a collection named “Instafeed ‘Vectors'”. We see geometric designs, rounded shapes, bright colors, and great concepts. 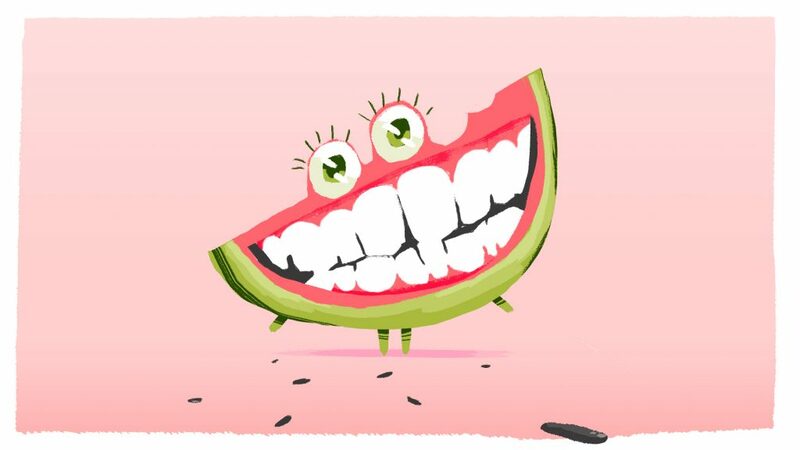 For the grand finale we’ve chosen this charming smiley watermelon character illustrated in a flat style. If you check out the collection called Jolly Ranchers, you will see even more fun flat characters. We hope your mind is bursting with ideas right now. 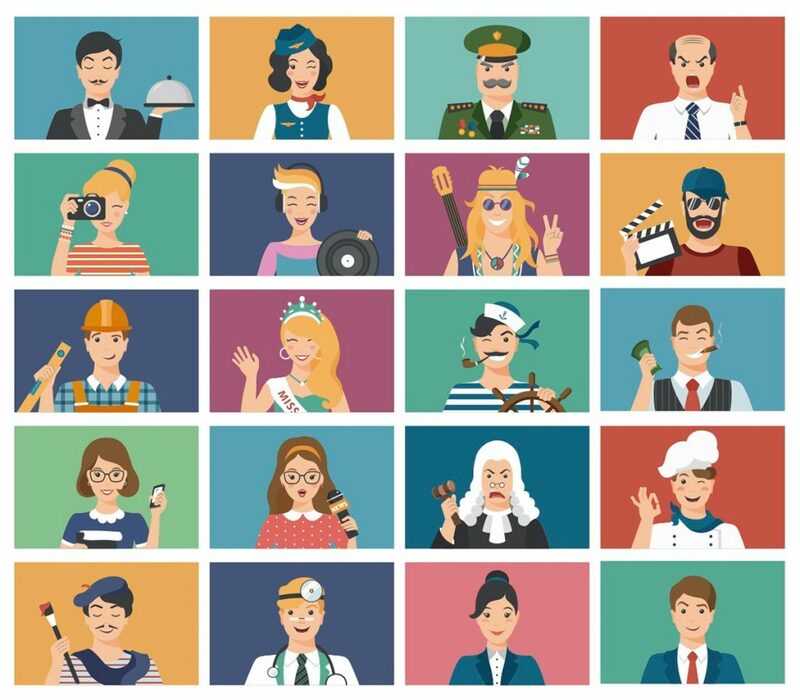 This collection of 100+ flat character design inspiration examples certainly got our creative juices flowing and we hope you feel the same. You are welcome to share your own flat character design in the Comments below. Can’t wait to see your creations! Those are nice flat designs!